A creative way to focus on your prayer time, this colouring book offers a reflective route to quiet time with God. Looking for space to pray and reflect? Pray. Create. Memorise. Reflect. Journal. God is on your side! The Scripture reminds us of this again and again, yet we tend to forget amid the worries and cares of life. What could be better than coloring creative artwork while meditating on encouraging Scriptures? In this beautifully designed coloring book, Margaret Feinberg shares powerful verses from the Bible that speak God's promises to your soul. Gather your markers or pencils and let God fill your heart with peace, hope, and joy. Pocketful of Promises by Margaret Feinberg was published by Baker Publishing Group in May 2017 and is our 22269th best seller. The ISBN for Pocketful of Promises is 9780764230158. Be the first to review Pocketful of Promises! Got a question? No problem! 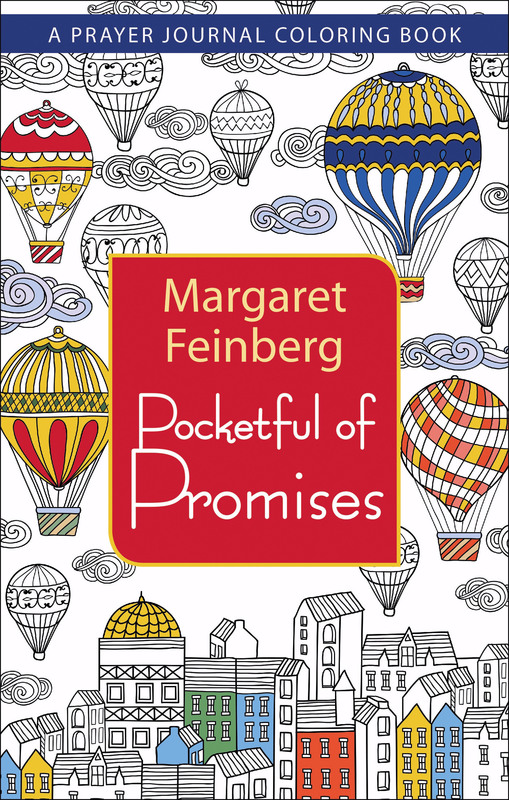 Just click here to ask us about Pocketful of Promises.